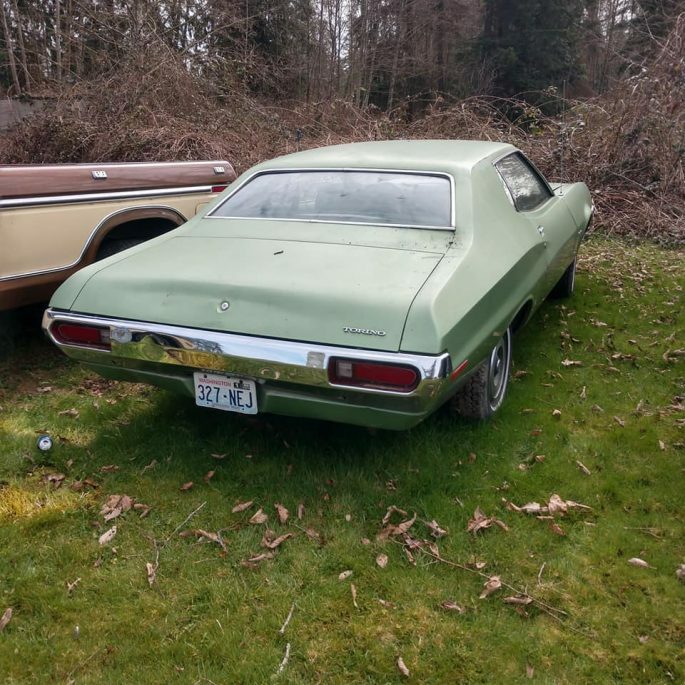 Normally, $2,500 for an engineless Ford Torino is the point where you walk away and keep looking, isn’t it? Sorry to Ford fans, but the Torino just doesn’t have quite the draw that a Chevelle or a Coronet would have. But there was something about this green 1972 model that grabbed my attention: the full-width grille. In my entire life, I have never seen a 1972 with the full-width grille. I’m used to the Gran Torino setup, where the grille is an oval intake and the headlights are separated from the grille. And I’m sure you are, too. But the more I looked at this basic-model Torino, the more I start to like it. Overall, the car is a moderate survivor…it’s got bumps, dents, interior wear, and the like but if there is a modification to this car outside of it’s missing engine, I can’t find it. It’s not a big-block Gran Torino with the Sportsroof. It doesn’t look like Clint Eastwood’s car. It doesn’t feel the least bit like a musclecar…and that’s actually a good thing. No, seriously. Every car from this time period that you see is either a museum piece or has been converted into the hottest variant. 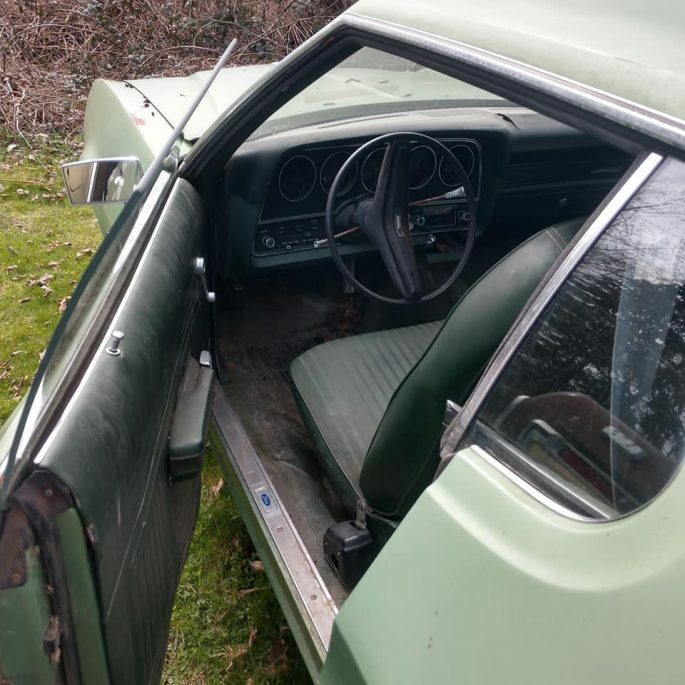 Why try to hide the life history of this basic two-door Ford? Far as we’re concerned, hit up the local junk yard for a late 1990s Explorer 302, slap on a basic four-barrel intake setup, and start cleaning. Fix what you find along the way and keep this Torino alive. It’s made it nearly fifty years more-or-less untouched. Why not another fifty? 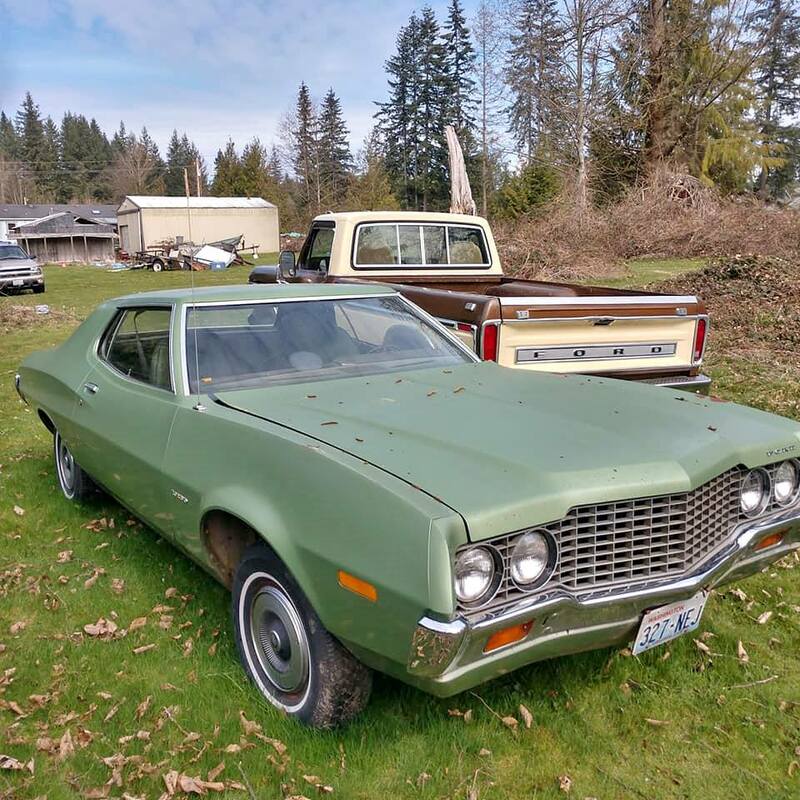 $2,500 buys the car…another couple of hundred bucks will net you a small-block Ford engine easy. I'm Not Saying It Would Be Cheap, But Can This Back Half Duster Drag Car Project Be Saved? Which One Of These Throwback Wheels Would You Most Like To Rock On Your Hot Rod? I see a stealth, street bomber with a Coyote, 6 stick, modern cop wheels, brakes, etc., but my wallet says otherwise. I ‘ ll take a mud fence, it’s much less ugly! I like it and I’m a die-hard General man. 347 crate engine, Tremec 5 spd, wheels, tires and some darker green, red and black accents with a blacked out grill and fog lamps in the inner holes. Not a cheap plan but one that’d get you a sweet daily driver to be proud of and one nobody else has. When I was a kid our neighbor had a Torino wagon. My dad had a Camaro and was the car guy on the block. Mr Torino changed his oil and filter, but he never drained the old oil! I liked this body style better than the fastback version. Too bad it’s on the wrong coast. My ’73 weighed 3,880 over the scales. These things are tanks… Needs a 557″ BBF…… the 9-inch is already there.